Best Performance Muffler for 6.0 liter Chevrolet Reviews in April 2019! Hi, I’m Ken Coul, your online auto mechanic and general auto fanatic. I write a lot of reviews for different parts and vehicles, and this guide was requested of me by popular demand. Exhaust systems come with mufflers, or not. It all depends on what you plan on doing with your vehicle and the noise levels you want while driving. For racing, you might forgo a muffler all together, after all, what is a battling rooster without its roaring squawk! Bottom line, mufflers are for people that want to either eliminate the sound of their vehicle to the minimum, which provides both comforts during the ride as well as silence to the environment. The other option is a nicely tuned rumbling roar of a muffler, when combined with a great exhaust system can make even the simplest of vehicles sound like a hypercar or a stock racing car, whichever you prefer. Essentially, when buying a muffler, you buy it together with the exhaust system. However, sometimes you want to create your own design or change a muffler within an already applied system. 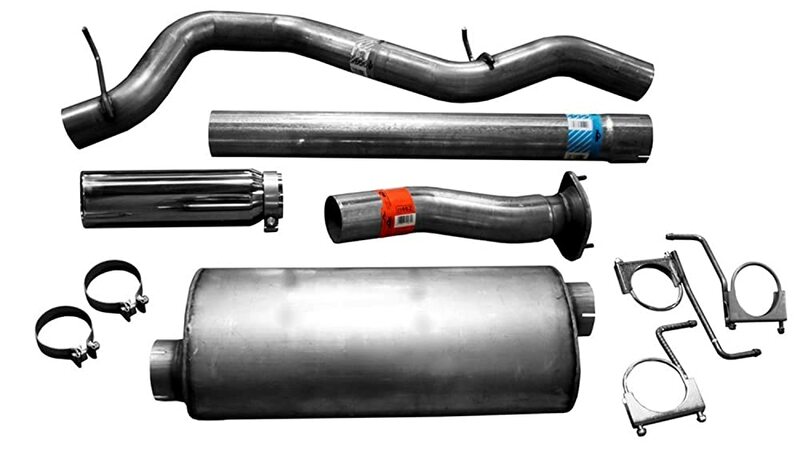 In this case, you will need to consider not only the muffler design and style but its shape and size and compatibility with your vehicle. Also, for pimped up rides, consider the finish and how it looks as well as performs. Now let’s look at the 5 best mufflers for 6.0 Vortec motors. The Walker® exhaust Systems Quiet-Flow® SS #21576 is a highly resistant stainless-steel 6.0 Vortec Magnaflow muffler that is designed to be a precision fit the part. 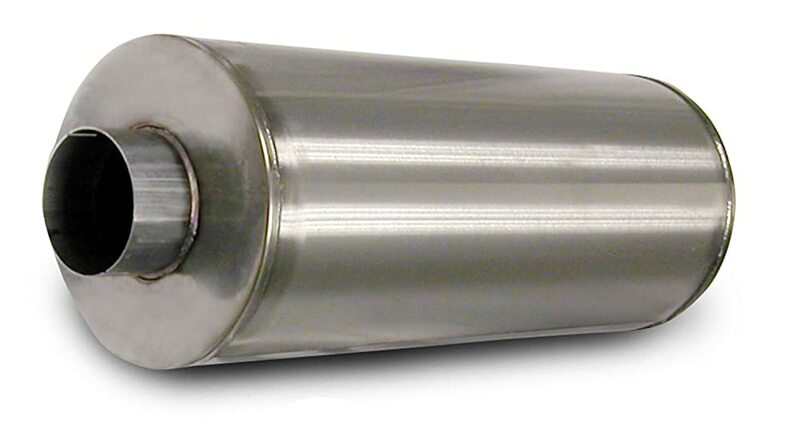 This one time fit is one of the only aftermarket stainless steel OE replacement mufflers developed and manufactured in the US and provides a much longer lifetime corrosion-resistant performance. Magnaflow is known for its weld-on and clamp-on tips and the middle-tone sound that their exhaust systems produce. Muffler Inlet Details: Offset 2 x 3” inside pipe dia. Muffler Outlet Details: Offset 1 x 3” inside pipe dia. The Flowmaster #853558 is a 409S Stainless Steel with a 3.5″ inlet and outlet Chevy 2500hd 6.0 exhaust muffler. The sound provides a mild interior resonance, and this muffler improves Horsepower, Torque, and overall Engine Efficiency. This model comes with an easy installation kit, and its universal design enables you to connect to any OE or modified vehicle with ease. Inlet Details: Offset 3.5” inside pipe dia. Outlet Details: Offset 3.5” inside pipe dia. The DynoMax® Ultra Flo™ Welded performance stainless steel mufflers are designed to meet the flow of up to 2,000 SCFM and will support engines providing up to 2,000HP. With this statement, I don’t expect you to connect a Saturn Rocket booster to your engine, but this muffler is exceptional. These mufflers are designed for fast installation, using their bolt-on technology system and are the best exhaust for Chevy 2500hd. The Banks Power 53800 2004 Chevy 2500hd 6.0 exhaust muffler integrates a high tempo durable ceramic packing that outperforms all fiberglass alternatives. The overall design is straightforward in and out of the system with no winding pipes, which eliminates the build-up of back-pressure. Inlet Details: 1 x center located 4” inner pipe dia. Outlet Details: 1 x center located 4” inner pipe dia. The CORSA #8004000 muffler is a stainless steel internal chambered feat of technology that integrates the Corsa patented RSC™ muffler technology. This is an extreme noise reduction system that delivers a wonderful deep throaty rumble while improving all aspects of the performance of the engine. There are many brands and makes for different models and applications. These are the five best performance mufflers for reducing sound to a nice low rumble. They are all stainless-steel parts, so they will provide you with the best resistance to corrosion and provide the highest life cycle. 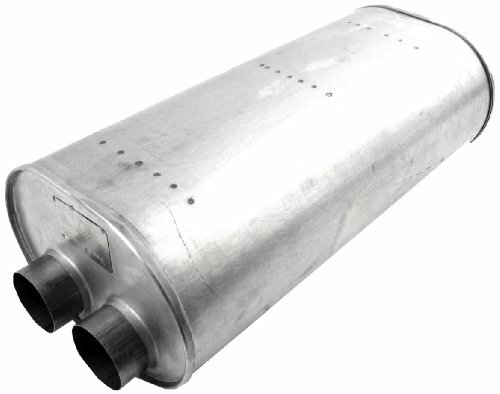 Mufflers provide noise protection, for both yourself while driving and for the environment. Stainless steel mufflers are the best muffler materials for handling salty atmospheres, especially near coastlines as such, they are more than optimized for dry condition performance. There are two stainless steel alloys used in these parts, either T409 and T304. The T304 alloy provides better corrosion resistance. If you live in a dry area, you might consider using an aluminized finish which is as good as any stainless-steel finish for those conditions. Different mufflers for different applications. This opening statement means that you need to match the muffler to what you will perform the most with your vehicle. If you intend to race more than ride, then you need a muffler with fewer baffles, this will provide a superior flow rate and increase your HP and torque. It will also make your vehicle loud, which is really what you want in a testosterone flooded atmosphere. When buying a muffler, you have two considerations to make in regards to local law enforcement. These are the decibel levels permitted and the emission codes for various toxic substances. California is the strictest in this regard. Just make sure your muffler meets the emission codes. Otherwise, you are risking a pull-over. These use a single perforated pipe that starts from one end of the muffler and ends at the other end. The perforations are in place to reduce the high-frequency sounds and displace them into the packing materials. These integrate a series of angled walls that “bounce” sound waves into each another, this cancels out conflicting sounds and reduces the overall effect to a muted output. These models use both perforated pipes and baffles to provide an optimized noise reduction. All of them are good, it’s about measured performance gains as well as looks, in the end, these three systems all work the same, and it’s just a matter of perceptual favoritism to decide which one you like and prefer on your vehicle. Size counts, the smaller the muffler, the louder it will be. 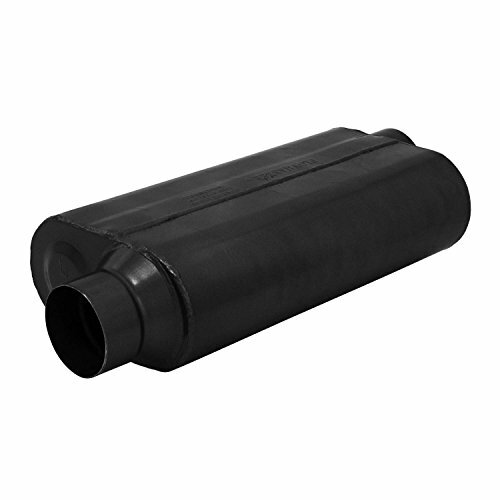 High-performance mufflers must be welded or will come with special installation hardware. 99% of all Performance Mufflers are not OE fitment ready; you will need to make some modifications. Flowmaster is one of the few if the not only company that fabricates direct-fit kits. Measure your OEM muffler’s case-length, width, inlet and outlet sizes as well the layout. Inlet size corresponds to the size the inlet of the muffler will fit over the exhaust pipe.